VPN Protocols – Differences Between OpenVPN, L2TP, SSTP and PPTP. VPN Protocols are one of the many features that keep your data secure and encrypted while on a VPN service. There are different types of protocols, the three most popular being PPTP, L2TP, and OpenVPN. Microsoft also offers a proprietary protocol, SSTP, which we will discuss. So let’s see what are the VPN protocols available and how they differ in functionalities and performances. 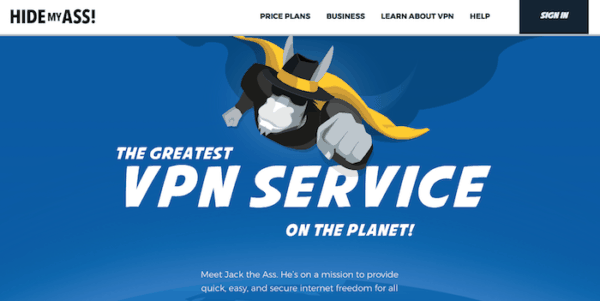 If you are rushing and want to get straight to the point, here is a list of the top VPNs that support OpenVPN, the most recommended VPN protocol. VPN Tunnelling Protocols act as deterrents to surveillance, attacks and censored material. When you use a VPN connection, all your data can be encrypted to a further or lesser extent. This is possible thanks to the VPN protocol. Depending on what type of VPN protocol you are using, the level of encryption can be stronger or weaker. 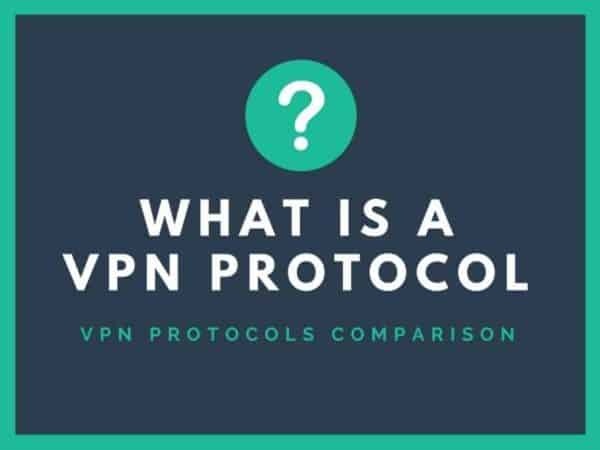 Therefore, it is critical for you to understand what is the difference between VPN protocols and choose the one that offers the best protection for your specific use. Like we said before, VPN protocols ensure all the traffic going from the user’s machine to the VPN server is encrypted. While the VPN service offers a direct route to their private servers, it is really the type of VPN protocol that makes sure all data is secure. Different VPN protocols offer different levels of security. PPTP, for instance, offers limited protection. Even though the ease-of-use is there for the customer, the level of security and encryption is quite low compared to some of the other options. The most common VPN protocols are PPTP, L2TP, OpenVPN, and SSTP. Our VPN protocol comparison will teach you how to choose the right protocol to never compromise your Internet security. When you are using a VPN service, there are several aspects at work that ensure that this is a safe and secure connection. The VPN Protocol play a major role in protecting your privacy and make your connection entirely secure. A VPN exists due to VPN Protocols. These are what is keeping data that is being transferred between points secure and safe. When a VPN goes through a VPN tunneling protocol, the information is distorted, changed, and encrypted. The level and quality of this encryption depend on which protocol the VPN utilizes. Each protocol is developed for use with specific standards in place. These standards include, for instance, the operating system being used and the level of protection that needs to be achieved. It is due to these protocols that those who use a VPN can ensure that anything they send via email, what they download, or even what they browse online is going to be for their eyes only. It easily understood how important it is to select the most secure VPN protocol. A good VPN protocol will make your data impossible to understand and therefore useless. Instead, if you use a less secure protocol, your data may be deciphered even though with some effort. The following discussion will help you to understand the major differences between different types of VPN Protocols. We will explain how these differences impact your security and what are the pros and cons of each VPN protocol. PPTP (Point to Point TunnelingProtocol) is one of the earliest VPN Protocols and still going. It is easy to setup, comes with low overhead, and works on virtually every device. The downsides of PPTP are quite numerous and deserve your attention. Lackluster encryption at 128-bit is the major downside of PPTP protocol. Bad performance with disconnections and one of the easiest to hack is what characterizes this VPN protocol. PPTP is easily blocked by governments with good censorship software. The NSA has programs capable of breaking PPTP security and there is a well-founded suspicion that they decrypt PPTP encrypted communication as a standard. Without a doubt, not the VPN protocol to use if you deeply care about your security. On the other side, since the encryption is quite poor, PPTP has minimal impact on your connection speed. if the task you are at doesn’t require high-level security and you need a fast connection, PPTP could be your solution. In any case, keep in mind that PPTP VPN protocol is not recommended and you should avoid it as much as you can. Easy to use with Windows. Those who run a Windows operating system will find that by default Windows works with PPTP. Therefore, there will be no hassle with installing the necessary programs and software to make this run on the computer. Doesn’t impact your connection. Since the quality of encryption provided is quite poor, this VPN protocol is not invasive and the connection is faster than with other protocols. Easy to work with. No matter what operating system you are using, PPTP has the huge benefit of being easy to work through. The reason for this is that IPsec, a data encryption tool, is not normally used. Cost Effective. Since PPTP does not require any additional certificates to use, it can be more cost-effective than other protocols on the market. Easy to understand. PPTP protocol is so easy to understand that most people can do this on their own with a little self-training, rather than paying someone else to do this for them. Does not work well with lots of data being shared. This protocol was developed with the idea of sharing files and smaller amounts of information. For companies or individuals sharing tons of information, PPTP can result in instability. Security standards are lower than other protocols. This is the most relevant disadvantage. Other protocols on the market do have a higher set of security standards. PPTP does not offer data origin verification or data integrity which can result in the unknown for many companies or individuals. This can affect the reliability of PPTP. In fact, this protocol can be hacked easily, and it is not going to work with any government censorship in place. L2TP (Layer 2 Tunnelling Protocol) is another old VPN protocol, dating back to the same age as PPTP. Thankfully, L2TP is a bit more secure when it comes to encrypting data and making sure that data cannot simply be hacked and stolen. Encryption goes up to 256-bit and L2TP is available on almost every platform, although it is a little harder to set up when compared with PPTP. Some issues with L2TP include speeds with the protocol and the fact that many ISP (Internet Service Provider) can easily ban connections through L2TP. L2TP or Layer 2 Tunneling Protocol, basically combines the earlier version of PPTP manufactured by Microsoft, while also taking elements from Cisco’s Layer 2 Forwarding system. Data is much more secure than when compared to protocols such as PPTP. Through using an L2TP you can ensure that the information that is being transferred is not being lost in translation. This protocol works to ensure nothing is lost in this format, while also ensuring that information cannot be heard by third party people. Problems with some firewalls. It may happen for a firewall to work against the L2TP and affect the speed as to how this performs. High usage of computer resources. Due to the way in which this protocol is set up, it does a high amount of usage on a computer, which can ultimately affect the overall speed of the computer that is being used. L2TP is a viable option that has speed on its side, as well as numerous security protocols in place. However, still not the best VPN protocol to guarantee high security and pleasant user experience. OpenVPN is the new high standard when it comes to VPN protocol. A lot of this has to do with community support being an open source protocol. The VPN community works on open source programs to make OpenVPN even more secure, every day. OpenVPN takes advantage of OpenSSL certificates for encryption and supports faster hardware, capable of more speed management. Some downsides to OpenVPN is that not all VPN services have it available and the 128-bit blowfish is known to have some weaknesses. In any case, this is actually a VPN protocol that several people want to use, as it is constantly working on making it the best protocol that is on the network. OpenVPN is a community project, in which various people work to make this something that is going to work for the long haul with a VPN. Due to this, several VPN’s utilize OpenVPN as one of their tunneling protocols. Very high-security interface. OpenVPN protocol ensures that your information is safe from those who may try to get it. OpenVPN utilizes shared keys, certificates and other forms of security to ensure that everyone is safe while online. Tunneling protocol very reliable. Should the tunnel go down, the entire system will shut down in order to make repairs, thus ensuring that you cannot send data or information that would be lost. Occasional problems with the proxy. Not all proxies are going to support OpenVPN. However, this is an easy solution in only using a proxy that is supported, which may or may not be the case in some locations throughout the world. Requires fairly sophisticated machines on both ends in order for this protocol to run effectively. Hard to set up. It can be hard to install this protocol for those who are beginners, as there is a lot involved in this. In any case, if you use a VPN provider that supports OpenVPN, like the ones listed below, you don’t need to go through any setup. Once you install their apps on your devices, they will set OpenVPN automatically. Overall, OpenVPN is a fantastic VPN protocol with great support. OpenVPN is the most recommended VPN protocol. There are several VPNs on the market that are meant to protect you. However, there are a few that stand out as being far superior to the competition. One reason is that they support the most secure protocols including, of course, OpenVPN. In the ExpressVPN software, you may go for the “Automatic” selection for the VPN Protocol. In this case, the software will always go for the best VPN protocol for your network. Additionally, ExpressVPN is a “no logs” VPN provider that totally protect your sensitive data. HideMyAss is a good choice if you are looking for an high security and privacy level. Keep anyway in mind that despite using the best VPN Protocols available, HMA keeps logs of your activity. Depending on your needs, if you need a 100% secure VPN connection you should go for a provider with “no logs” policy. IPVanish applies a “no logs” policy that adds even more security to your data. You can try their services for 7 days for free. Being based in Romania, CyberGhost can easily provide a strict no-logs policy. The good network of servers around the world and its reliable service will work well to protect you online. OpenVPN is, of course, the recommended one to entirely protect your connection. The company claim to be a “no logs” VPN provider even though being under the US jurisdiction could at a certain point become a problem. In any case, up to now, PIA has proved to be a reliable and secure provider. The whole idea behind a VPN is the security that it offers. These types of VPN protocols is what makes security possible. Without VPN protocols, there would be no security that could be offered, hence making everyone vulnerable to having personal and private information stolen, as well as easily being monitored for what they are doing online. A VPN is a virtual private network that is meant to offer protection while online. Anything that is completed through a VPN allows the user to find a way around blocked websites, a way to hide their location and to secure the information that they are sending. Without these VPNs, a person is vulnerable to any attack that hackers can perform. 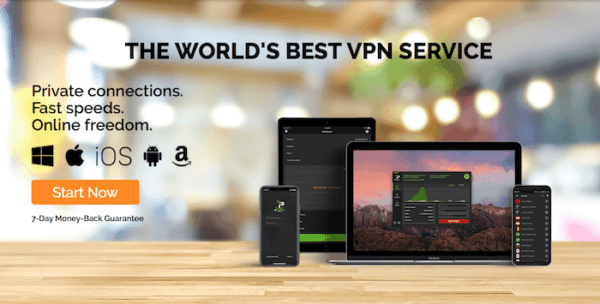 If you don’t go for one of the most reliable VPN that support the best protocols, most important OpenVPN, your Internet security, and privacy will always be at risk.